In the British reggae scene, Black Roots are viewed as respected elder statesmen. That’s fitting. Black Roots have been making music for over thirty years. Still, though, their music is powerful and full of social comment. That’s the case on their new album Son Of Man, which was released on Soulbeat Records. It features eleven new songs, where Black Roots highlight injustice and speak up for the poor, disenfranchised and dispossessed. This is something that Black Roots have been doing since they were first formed in 1979. As the Black Roots story began in 1979, change swept across Britain on 3rd May 1979. Margaret Thatcher was elected Prime Minister with a majority of sixty. Britain now had a Conservative government. Among the interested onlookers were the members of Black Roots. They wondered what the future held for them, and the rest of their generation? Unemployment was over two million, and Inflation was rising. The future looked bleak. To make matters worse, poverty and racism was rife. It was no surprise that eventually, riots broke out in Liverpool, London, Leeds, Sheffield and Birmingham. Some commentators saw this as the disenfranchised fighting back. Many of those who fought back, thought there was no other way. They had had enough. No longer could they walk the streets without being constantly stopped and searched. Stop and search was one of the most controversial pieces of legislation the police had been using. The powers to stop and search had been instigated under The Vagrancy Act 1824. The new powers enabled police officers to stop and search anyone based upon “reasonable suspicion” that an offence had been committed. In reality, stop and search was often used a fishing trip by the police. To make matters worse, in many inner cities, a disproportionate amount of young black men were victims of stop and search. They had done nothing wrong, and instead, were British citizens going about their lawful business in a peaceful manner. This wasn’t going to end well. That was the case in 1981, “the year of the riots.” Across England, communities literally exploded. Often, when the dust settled, heavy handed policing was to blame. Especially, when it came to the use of stop and search. So on 27th August 1981, the power to stop and search was repealed when the Criminal Attempts Act 1981 received assent. Maybe things were starting to change? That looked unlikely. In 1980, Margaret Thatcher gave her “the lady’s not for turning” speech. It seemed the Conservatives were not going to be derailed. Those that took to the streets saw a government that seemed unwilling to listen, never mind change. The only alternative was to make the government listen. The chances of this happening were slim. Those that weren’t poor, unemployed, disabled or elderly weren’t willing to upset the apple cart. They led comfortable lives in middle class, middle England. Safe in the suburbs, they weren’t willing to stand shoulder-to-shoulder with disenfranchised and dispossessed. So it was left to writers, philosophers, poets and musicians to provide a voice for the disenfranchised and dispossessed. This would include Black Roots. By 1983, the eight piece Bristol-based band were one of the rising stars of the reggae scene. Black Roots had toured the length and breadth of Britain, and soon, had a large following. Especially, in colleges and universities. Audiences were won over by what Black Roots described as “militant pacifism” roots reggae. It struck a nerve with the bright young minds who were hoping to graduate from colleges and universities across Britain, and enter the workplace. In 1983, this seemed unlikely. Unemployment was at record levels since the depression. Still the ‘lady’ wasn’t for turning. Things were break in Britain. Bristol, Black Roots’ home city was no different. Unemployment, poverty, racism, disquiet and unrest were almost omnipresent. However, the disenfranchised and dispossessed didn’t have a voice. The eight members of Black Roots decided they would became their voice. Later in 1983, Black Roots released their eponymous debut album. It featured Black Roots’ unique brand of militant roots reggae. They highlighted injustice and the way large parts of communities had become alienated by the political reform introduced by the Thatcher government. Britain it seemed, was broken; maybe even beyond repair? That’s how it looked. Right up until 1985, many parts of England were like a powder keg, just waiting to explode. Often it did, The disenfranchised and dispossessed felt they had no option but to take to the streets, and riots broke out. However, as 1985 drew to a close, the riot years were over. By 1986, a lot had happened to Black Roots. They continued to tour constantly. Black Roots had also released their sophomore album The Front Line in 1984. This seemed fitting, as in parts of Britain, it was like a war zone, with the disenfranchised and dispossessed taking to The Front Line in an effort to have their voice heard. Black Roots were also The Front Line, but used their music to provide a voice for the disenfranchised and dispossessed. Someone was listening. Soon, Black Roots were making their way to Broadcasting House to record a series of sessions for Radio 1. These sessions allowed Black Roots’ music to be heard by a much wider audience than they played to in several tours. This was a huge break. So was when highlights of the sessions were released in 1985 as the Black Roots ‘In Session’ cassette. By the end of 1985, things were looking up for Black Roots. The remainder of the eighties saw Black Roots continue to tour and record. Their third album All Day All Night, was released in 1987, but was their first album for Nubian Records. It would become home to Black Roots for over a decade. When Ina Different Style was released on Nubian Records in 1988, it marked a stylistic change from Black Roots. This was their first adventure in dub. It wouldn’t be their last. Before that Black Roots would release two more albums. The first was their first live album, Live Power. Released in 1989, Live Power was a reminder of how good a live band Black Roots were. That was no surprise. Black Roots had spent much of the last ten years touring Britain. They were a familiar face in venues the length and breadth of Britain. Especially in colleges and universities, where their songs about injustice would be welcomed and embraced. Some of the people in the audience could they hoped, in the future, make a difference and make Britain a better place. As the nineties dawned, Black Roots were now into their third decade making music. However, it had been nearly three years since Black Roots had released a studio album. It was time to rectify this. Later in 1990, Natural Reaction, another album of roots reggae was released by Black Roots. This was the Bristol-based eight-piece’s fifth studio album. It’s not just social comment than can be found on Natural Reaction. There’s emotion and spiritually on an album that was well received by critics. This didn’t stop Black Roots going for another adventure in dub. Dub Factor: The Mad Professor Mixes was released in 1991, and was Black Roots’ second dub album. Just like Ina Different Style, this latest adventure in dub was well received. It seemed Black Roots were willing to experiment, so that their music stayed relevant. This included collaborating with some familiar faces within the British reggae scene. Two years passed before Black Roots returned with With Friends in 1993. It was a collaboration with some of the biggest names in the British reggae scene. This included Dub Judah, Mickey Forbes, Trevor Dixon and B.B. Seaton. They joined Black Roots on ten new tracks. While this was a welcome release, and one that was well received by critics and cultural commentators, some of Black Roots’ fans wondered when they would next release a noter studio album? When Black Roots announced the release of their next album in 1994, the wait for a studio album went on. Fans weaned on militant roots reggae discovered that the next album was Dub Factor 2-The Dub Judah Mixes. The wait went on in 1995, when Dub Factor 3-“In Captivity” Dub Chronicles-Dub Judah/Mad Professor Mixes was released. Still the wait for a studio album continued. Two years became three and four. Still there was no sign of another studio album from Black Roots. Was this the end of the group once hailed as “the next great hope for [British] reggae?” It seemed like it. Black Roots decided to call time on their career in the mid-nineties. Nothing was heard of Black Roots until the next millennia. Then in 2004, a compilation On The Frontline was released. Things went all quiet until 2011, when The Reggae Singles Anthology was released on Bristol Archive Records. Some critics thought that was release meant it was the end of the road for Black Roots. If it was, The Reggae Singles Anthology a limited edition release, seemed a fitting farewell to one of the most eloquent of the British roots reggae groups. Little did anyone realise that Black Roots were about to make a comeback. This came in April 2012, when six of the original members of Black Roots began to record an album of new material, On The Ground. It was well received upon its release in 2012, some nineteen years after their Black Roots’ previous studio album, With Friends. Belatedly, Black Roots were back, just in time. They were the musical superheroes with a social conscience. Two years previously, a Conservative-Liberal Democrat coalition came to power in 2010. By 2012, the junior partners were enjoying the once in a lifetime opportunity to be part of the decision making process. Suddenly, principles forgotten about as the heady scent of power hung in the air. With a seat at the Cabinet at stake, the disenfranchised and dispossessed were forgotten about. The worst that could happen to the junior partners was they loose their seats at the next election, and retire with a healthy pension and string of directorships. That’s what happened in 2015. By then, Black Roots had released another new album Ghetto Feel in 2014. It was released on the Soulbeats’ label. The voice of the disenfranchised and dispossessed were back, and were determined to make a difference. However, in 2015, things took a turn for the worse. Politically, Britain lurched to the right. Many of the junior partners lost their seats, and retired with their pension pots and directorships. This left the the most right wing government in living history with a mandate to govern. Things were about to get messy, very quickly. The newly elected government announced their plans for the age of austerity. They were determined to go further than previous Conservative governments had gone. Public spending wasn’t just cut, it was slashed. Especially on the welfare state. Hardest hit were the unemployed, disabled, poor and elderly. Suddenly, they that found themselves choosing between eating or heating their home. However, the Conservatives weren’t finished yet. With wars raging around the Middle East and North Africa, many refugees were came to Britain seeking political asylum from tyrannical regimes. However, they discovered that there was no room at the inn. This was after all, the age of austerity. For many onlookers and commentators this was just the straw that broke the camel’s back. This included Black Roots. They returned to the studio in 2015, and recorded eleven new songs. These songs became Son Of Man, which was recently released on Soulbeat Records. Just like on previous albums, Black Roots combine social comment, melodies and hooks on Son Of Man. Accompanied by harmonies and horns, Black Roots deliver lyrics that are uncompromising, and provide a voice for the poor, disenfranchised and dispossessed. Especially the victims of the age of austerity and the refugees fleeing the Middle East and North Africa. These are two of the subjects that feature on Son Of Man. Son of Man opens with the title-track. Quickly, Black Roots’ thirty-seven years of experience shines through. The rhythm section unite with stabs of braying horns. They’re the perfect backdrop for the vocal, which asks: “hey you Son Of Man where’s your heart?” Augmented by harmonies, Hammond organ and the crack rhythm, with the bass to the fore, anger frustration and disappointment shine through in the vocal. Especially when delivering lyrics like: “corruption are their only paradise.” Even then, there’s a soulfulness to this melodic slice of roots reggae with a social conscience. It seems thirty-seven years after Black Roots were founded, they’ve not lost their ability to deliver lyrics full of social comment. This continues on War Zone, where a hypnotic fusion of horns and the rhythm section set the scene for the vocal. When it enters, it grabs your attention with “it’s like a War Zone, people leave their children and go, it’ll be me or you, that’s what they want us to do.” In an instant, Black Roots at their most eloquent, provide a voice for the dispossessed. All Sing The Song Key sees Black Roots turn their attention to religion. Keyboards and an electric piano combine with the rhythm section. They provide the heartbeat as horns blaze and bray. When the vocal enters, the lyrics seem to have a spiritual quality. Especially with lyrics like: “repent and your Lord will save you.” That’s until the lyric: “my God is the one Bob Marley, look no further than yourself for your saviour.” Black Roots are too worldly-wise than to pin their colours to the mast of a religion. “When you hear one, your hear them all.” This doesn’t stop Black Roots asking: “heal him, to make ends meet.” Like many people, it seems, when they’re desperate, religion is their last resort. By then, synths strings and harmonies have swept in, and join the horns in providing a backdrop to Black Roots as they explore the subject of religion, in what’s a thoughtful, melodic and hook-heavy song. There’s another change of style and tempo on One Ebony Girl. A drum roll gives way to synths, before the rhythm section, percussion and horns create a jaunty, joyous arrangement. The vocal sings of a new life coming into the world, “One Ebony Girl.” This is a cause for celebration, so the rhythm section, percussion, Hammond organ and harmonies augment the vocal, on this celebration of the miracle of life. The drums that open Guess Who are similar to those on Prevention. Soon horns blaze, while washes of the Hammond organ lock join the rhythm section in creating a churning, backdrop. As the vocal delivers the spiritual lyrics, chiming guitars and a big, bold, bounding bass play leading roles. So does the heartfelt vocal as this melodic musical parable unfolds. Wake Up’s roots seem to be in classic seventies reggae. There’s more than a nod to Bob Marley and The Wailers. That’s not surprising. The members of Black Roots may have grown up listening to his music. However, Black Roots are a tight, talented group, with thirty-seven years experience behind them. Together, they create a slow, shuffling arrangement. Washes of Hammond organ join stabs of horns while the rhythm section put their experience to good use. Meanwhile, a heartfelt vocal is sung in a call and response style. It asks: “won’t you Wake Up and penetrate my soul.” By then, it’s obvious that this is Black Roots’ finest hour, as they roll back the years. The first few chords to Can’t Get Out Of That sound not unlike the introduction The Beatles’ Magical Mystery Tour. That’s the only similarity as horns blaze, percussion plays and the rhythm section combine with harmonies and the Hammond organ. It’s a heady and irresistible brew. There’s a degree of sadness in the vocal, as with an air of resignation it delivers the lyrics: “Can’t Get Out Of That.” One can’t help but wonder what crime was committed? When the vocal drops out, a guitar takes centre-stage, a delivers a crystalline solo. All too soon, it’s over and the story continues, with “the police siren wails, can’t get you out of that.” Still there’s an air of resignation and despair. That’s despite the irresistible backdrop created by the rest of Black Roots. Black Roots hit the ground running on Trickle Trickle Treat. Horns blaze, while keyboards accompany the rhythm section. Together, they provide a dramatic backdrop, as lyrically Black Roots remember a night out in Manchester. What should’ve been a night with friends, takes a sinister turn, in the stop and search days. It sounds a painful reminder of the past, as the conversation with the police is recollected. Harmonies augment the vocal, while growling horns add an angry backdrop. It’s a a shameful reminder of what life for many people was like, in English cities in the early eighties. Rolls of drums signal the arrival of horns, keyboards and the rhythm section on One Thing, which closes Son Of Man. Again, the bass is at the front of the mix, playing a prominent role. Meanwhile, vocal sings “a penny overdrawn they charge you, and write you a letter, £27 it costs you.” This brings home the irony, that the banks are only making a bad situation worse. However, Black Roots realise: “it’s a case that you can’t win.” Later, Black Roots ponder the banking bail out, wondering: “where it’s all gone?” Anger fills the vocal, as Black Roots sing about: “institutional bankers giving to the rich.” Back then, Rome was burning, but nobody had noticed, or if they had, wanted to phone the fire brigade. So it’s no wonder Black Roots are angry. Just like with other subjects, they speak for those without a voice on Son Of Man. Throughout Son Of Man, Black Roots provide a voice for the poor, disenfranchised and dispossessed. They’ve been doing that since they released their eponymous debut album in 1983. Since then, they’ve doing this eloquently. Their latest album Son Of Man, is no different. Black Roots highlight injustice, while speaking for those who can’t speak for themselves. They’re the people who have been let down and betrayed by successive governments. This includes the old and infirm, the disabled, unemployed and poor. None of these people have a voice. They’ve been forced to sit back whilst one government almost ruined Britain financially forever. However, the guilty parties don’t pay a price. Instead, its an voiceless underclass who can’t fight back. They don’t have a voice. 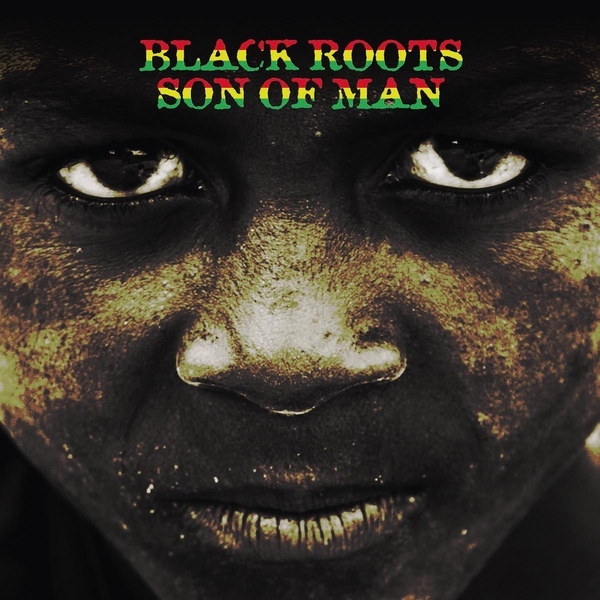 On Son Of Man, Black Roots provide a voice for them on One Thing. Then on other tracks, they turn their attention to other matters. This includes the refugees fleeing persecution in the Middle East and North Africa. Black Roots go to bat for them, and provide a voice for them. However, this is no surprise. Black Roots have been providing a voice for the poor, disenfranchised and dispossessed since they released their eponymous debut album in 1979. Thirty-seven years later, and nothing has changed. Still, Black Roots are highlighting injustice and speaking up for the poor, disenfranchised and dispossessed on Son Of Man, where they mix social comment with a health supply of hooks and melodies. ← SWAMP POP BY THE BAYOU-TROUBLES, TEARS AND TRAINS.